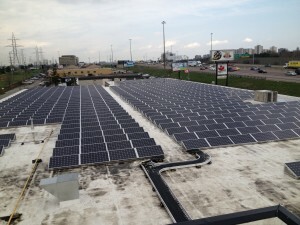 On January 30th, 2013, SRP Electric’s team set to work on installing a full-scale solar system on the roof of Toronto’s 401 Mini Indy. 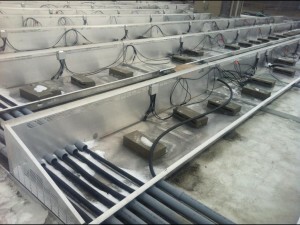 The 300kW system is one of the most advanced distributed architecture designs in the province utilizing 10kW string inverters and TIGO module level DC optimizers for maximum performance and module level reporting. Over the course of the installation, SRP Electric’s goal was to ensure that the project was completed in a timely manner and that the job site remained clean and orderly throughout the process. Despite ongoing weather challenges such as snow, ice and rain, the team managed to complete the installation on schedule, working indoors when the weather was inclement and taking advantage of clear days to work on the roof. 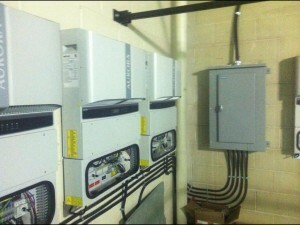 SRP Electric’s synergy with SunRise Power meant that the engineering staff was always available to deal with issues promptly. 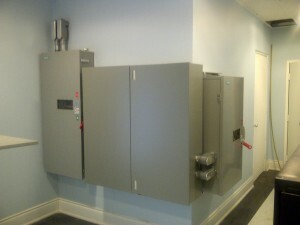 According to Rick Yates, SRP Electric is always looking for a better way to do an installation.